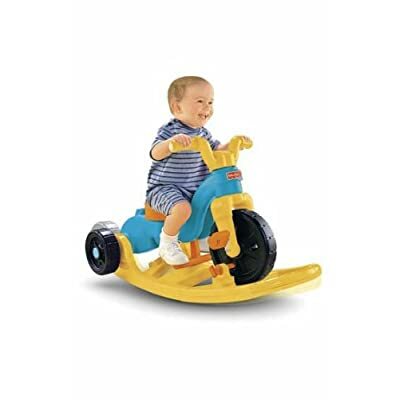 There’s a super hot deal today only on the Fisher-Price Rock, Roll ‘n Ride Trike — only $19.99 (regularly $49.99)! 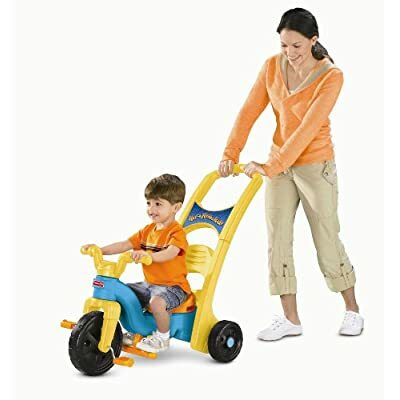 We have an older version of this trike and it is my three-year-old son’s absolute favorite. 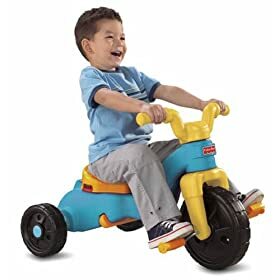 He and his friends call it the “fast bike.” It steers and pedals well and is a perfect size for 2-4 year olds. It also skids-out like nobody’s business — a boy’s dream come true. This trike has the rocker attachment so it can be used indoors without breaking anything. It’s a great choice for a toddler — rock now, ride later when they are old enough to pedal. The last feature, which I do not consider an asset, is the parent pushing handle. I do not like toys that require me to participate, but I’m sure the rest of you enjoy this type of thing, so added bonus! Disclaimer: Just in case you were about to comment about my poor parenting, please read some cute sarcasim in the last statement. I love my kids, just don’t love pushing their trikes up and down the driveway in the summer heat for hours on end, getting even more sun spots on my face. I’d much rather sit in the shade, watching them steer themselves into the curb. Now that’s entertainment. Today is the last day to shop Amazon and still get your items on Christmas Eve using Amazon Prime. Angela — because Rebecca actually enjoys steering her boys. I enjoy watching Rebecca push her kids. And taking pictures. Someone has to.